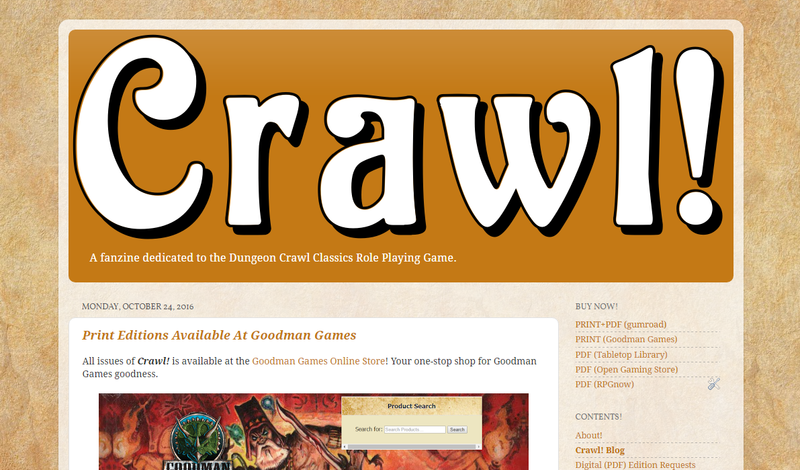 Don’t forget to visit: https://www.crawlfanzine.com/ for the latest Crawl! fanzine updates. Including the release of Crawl! no. 12: The Luck Issue. This entry was posted in DCCRPG, Press and tagged crawl, dccrpg, zines by Administrator Dak. Bookmark the permalink.